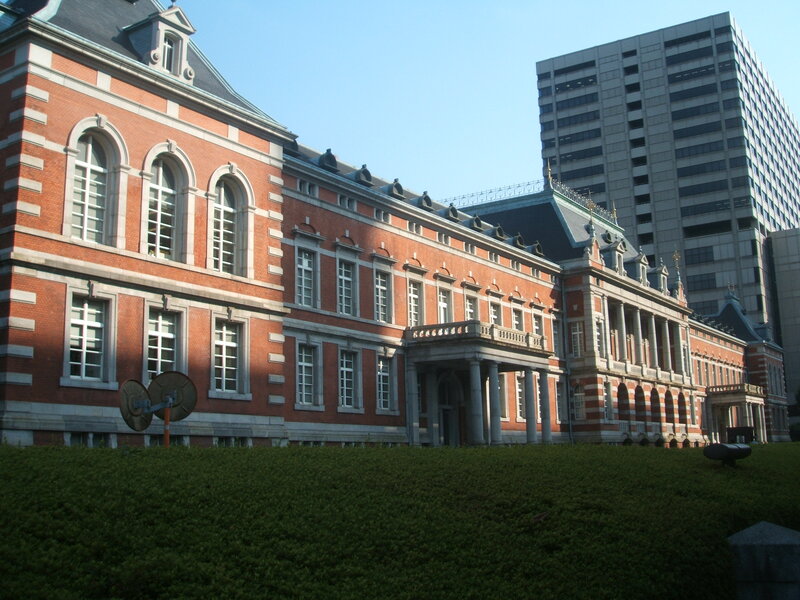 Are they 蝉 (Cicadas) in your country? 蝉 (Cicadas) are a large insect that spends most of it’s life underground in it’s egg. It spends a few years underground before it hatches, then it digs it’s way to the surface. 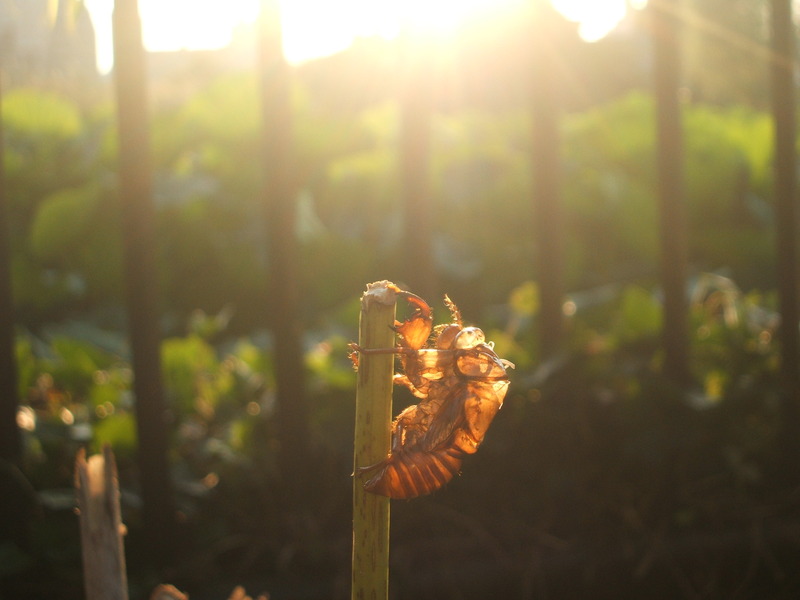 蝉 (Cicadas) emerge from the ground every summer in Japan. Shortly after emerging from the ground still a “baby” that can’t yet fly, they grow into an adult and shed their hard skin. As an adult, 蝉 (Cicadas) can fly but they are harmless. They don’t bite or sting…they feed on tree sap so they spend most of their time on tree trunks. Once they mature, they have a short life-span. They need to quickly find a mate because they will die in just a few weeks. In order to find a mate, the male 蝉 (Cicadas) chirp loudly and continuously during the daytime. 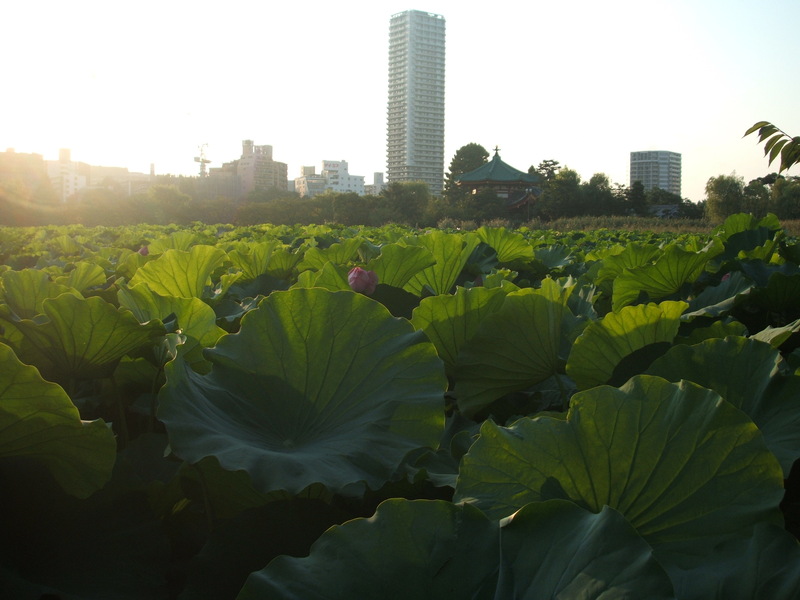 So the sound of 蝉 (Cicadas) chirping is the “sound of summer” to Japanese people. 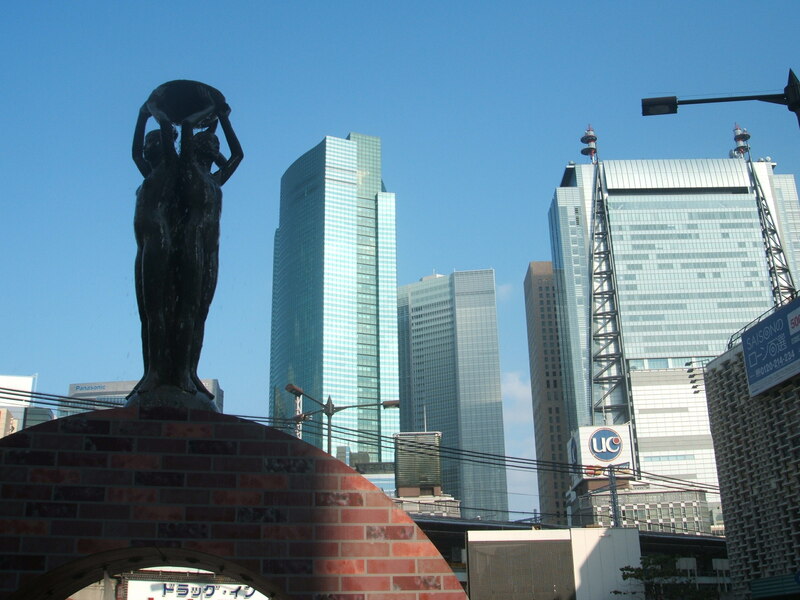 Anyways, yesterday I had some errands to run in downtown Tokyo. 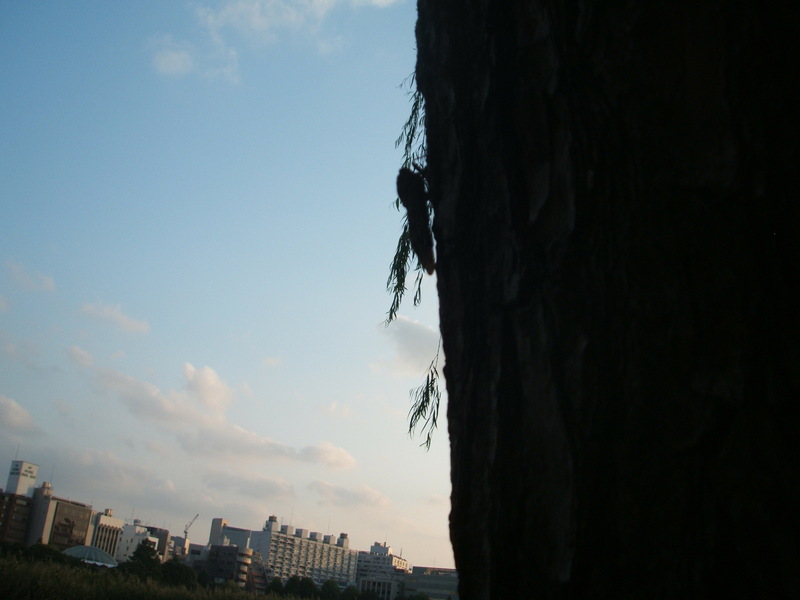 After I finished, I took a few photos…including photos of 蝉 (Cicadas) that I saw in 上野公園 (Ueno Park). I also took a short video of a couple 蝉 (Cicadas) so you can hear them. A Cicada's skin after shedding. Mr. Cicada serenading the ladies. 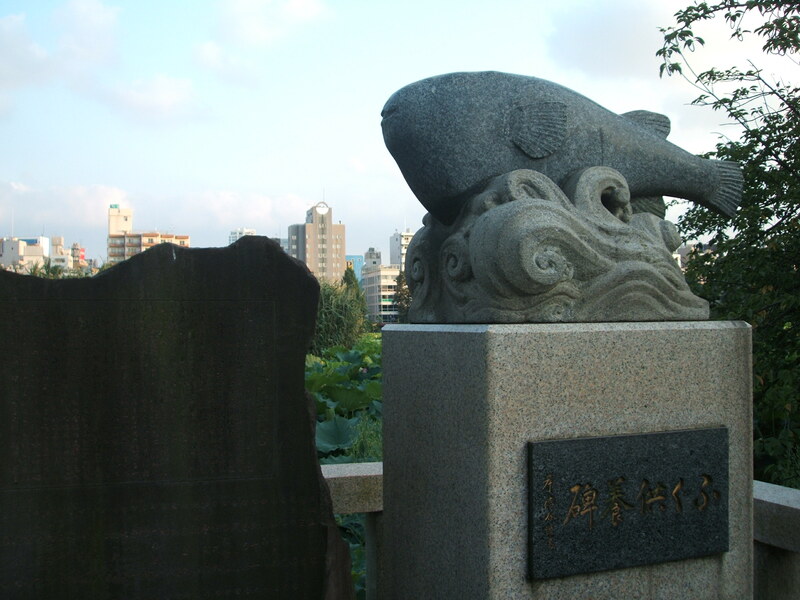 At Ueno’s Toshogu Shrine, there are monuments in honor of the first pair of eyeglasses in Japan, Japanese instrument called “Biwa“, and blowfish. 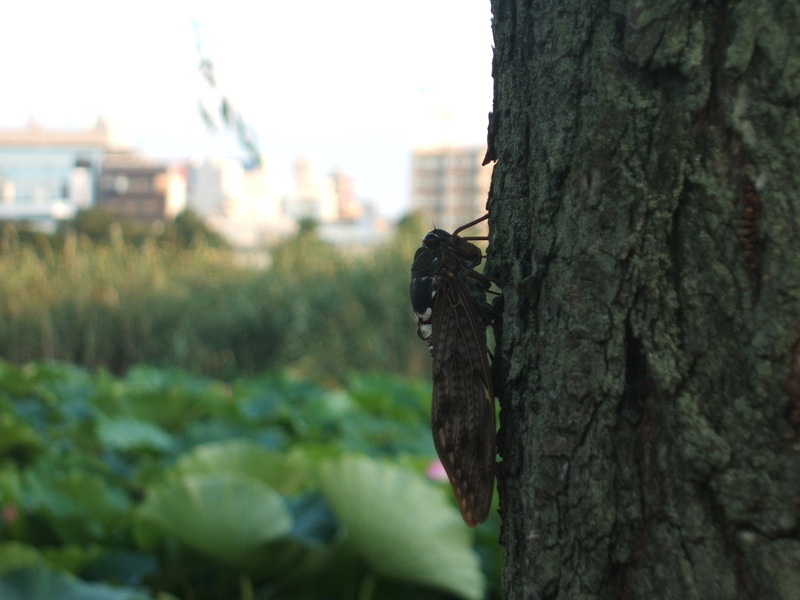 Cicada in front of Ueno's Toshogu Shrine. I have wondered what that sound is. It’s very overwhelming. I looked around and could not find any of the insects yet the sounds make them seem like they are right next to you. They’ll soon be gone. It’s kinda sad. I visited America about five years ago in the summertime. It was too quiet! It didn’t feel like “summer”! I’m not used to summer without the sound of cicada anymore. I’ve never seen a 蝉 (cicada) in America. 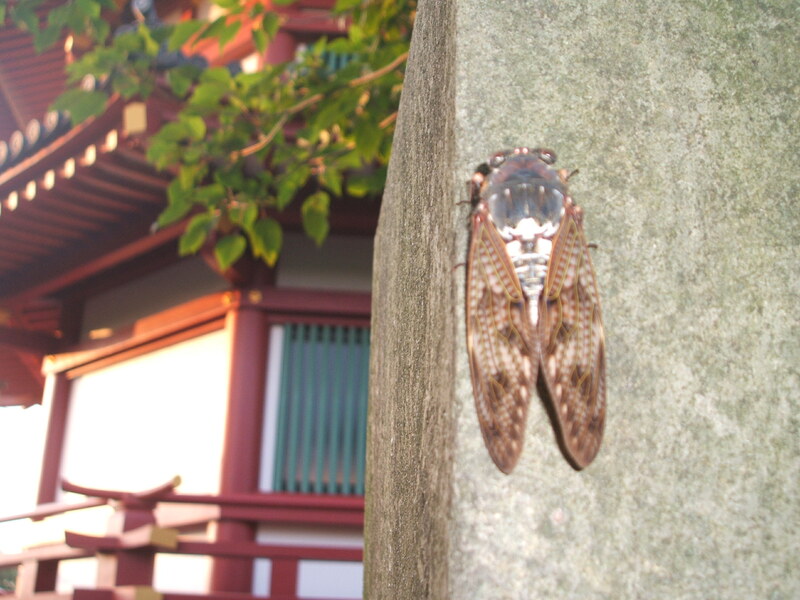 I saw a photo of an “American” cicada on the internet…they’re smaller and not as “cute” as the ones in Japan. Do they sound different too? My kids used to collect cicada’s 殻 (shell) when they were younger too! I believe they sound the same, or at least very similar. >I believe they sound the same, or at least very similar. “soysaucequeen” wrote above that they sound different. That’s why I asked about it. Here in AZ they are smaller than the midwest ones. and a little quieter. 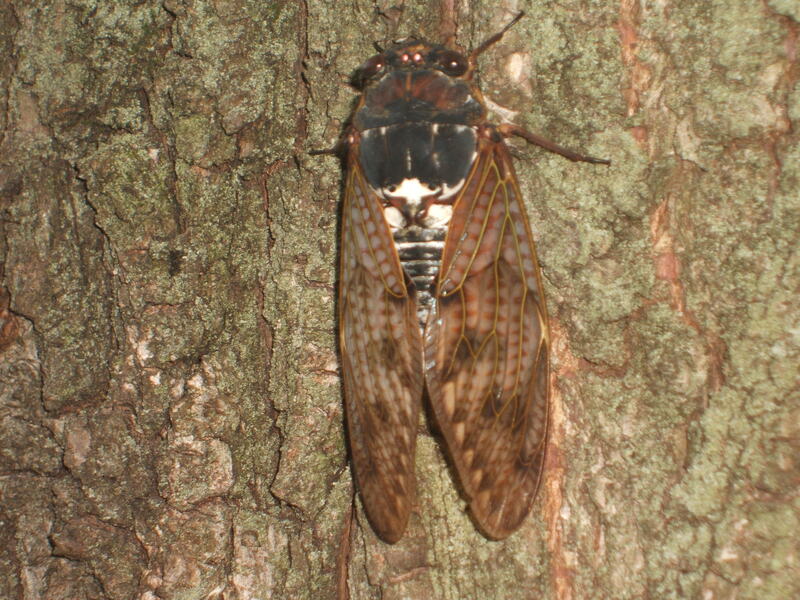 The midwest cicadas are quite large and very loud. Do they look like アブラゼミ (Japanese cicadas (the ones in my photos above))? It says “the deafening sound of cicada”! 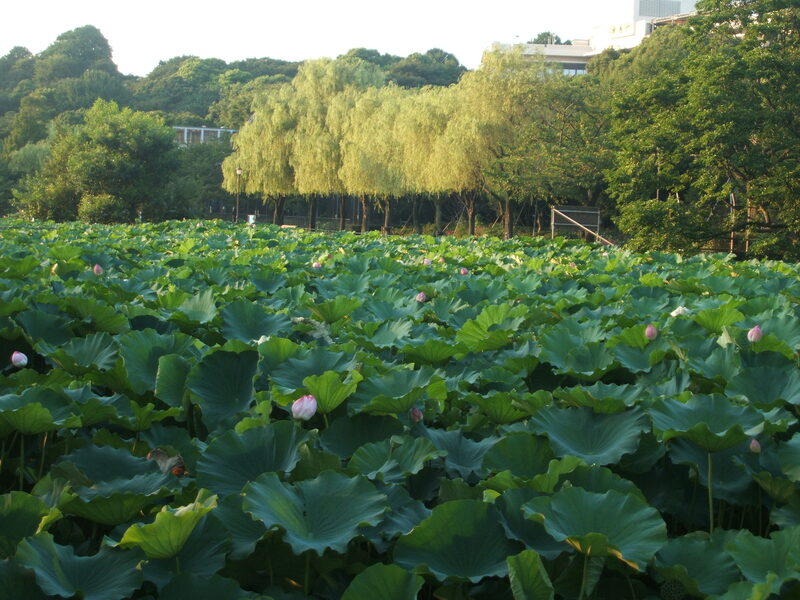 Japanese people never call 蝉 “deafening”! It depends on where you are at. In Iowa you can hear them every summer, but some years there may be a larger number cycling, and there will be a lot more than usual. You have Cicada in Iowa every summer? I guess they’re not 周期ゼミ like I heard are in America. What kind are they? “Japanese cicadas”? Periodical cicadas emerge in specific locations once every 17 years in the northern part of their range, and once every 13 years in the southern part. Different groups called “broods” emerge somewhere in the eastern United States almost every spring. Massive brood emergence is believed to overwhelm predators, which are mostly birds. This ensures that enough survivors will be left behind to reproduce. Male cicadas are capable of making a loud buzzing noise and squawk when disturbed. The males often synchronize their buzzing in trees which produces a deafening noise. It is believed that such droning and squawking is effective in deterring predators. The “dog-day” or annual cicadas appear during the long summer days of July and August. These cicadas have two to five-year life cycles but their broods overlap and some appear every summer. Dog-day cicadas are larger than periodical cicadas and have green to brown bodies with black markings and a whitish bloom. Their wings have green veins. Annual cicadas do not ordinarily cause much damage. Sounds quite different from cicadas here in Japan. せみ＋ふうりん sounds make me feel cool! Yes. And in America, there’s no 蝉、風鈴、花火 (except on July 4), かとりセンコウ、スイカ、 祭、etc. It doesn’t really seem like summer! I remember one summer growing up in central Illinois they were every. Those “husks” they leave behind were all over the place. I rarely see them anymore. That’s because cicada are underground in their eggs between 7 -17 years (depending on the species) before they hatch are burrow out. Most of the ones in Japan are underground for 7 years…but the eggs are laid every year, so there’s a cycle of cicada every summer in Japan. 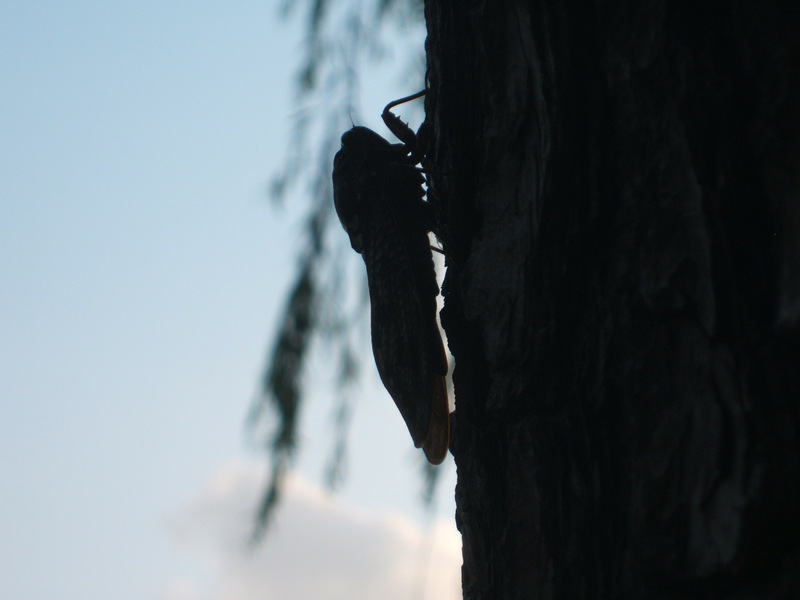 That’s why cicada are seen and heard every summer in Japan. But, I’ve heard, that cicada were brought to America from another country once and they were the species that takes 17 years to emerge from underground. So, in America, cicada are only seen once every 17 years! I don’t remember ever seeing cicada in America…but I’ve only lived there until I was 20–it’s possible there were cicada when I was very young so I don’t remember them. America has “Periodical Cicadas” (in Japanese: 「周期ゼミ」 (しゅうき・ぜみ)). They emerge every 13 or 17 years…at once. As I wrote in the comment above, Cicada in Japan stay underground for 7 years…but emerge in cycles–so every year a group emerges. Also, America’s 周期ゼミ (Periodical Cicadas) look different than アブラゼミ (Japanese Cicadas). The American variety are smaller…and black! haha. You must be on an INSECT kick these days. What’s with all the insects? You wrote about the artist that liked to illustrate insects, and now this. >You must be on an INSECT kick these days. Because it’s summer and there are so many at this time of year. >What’s with all the insects? >You wrote about the artist that liked to illustrate insects, and now this. 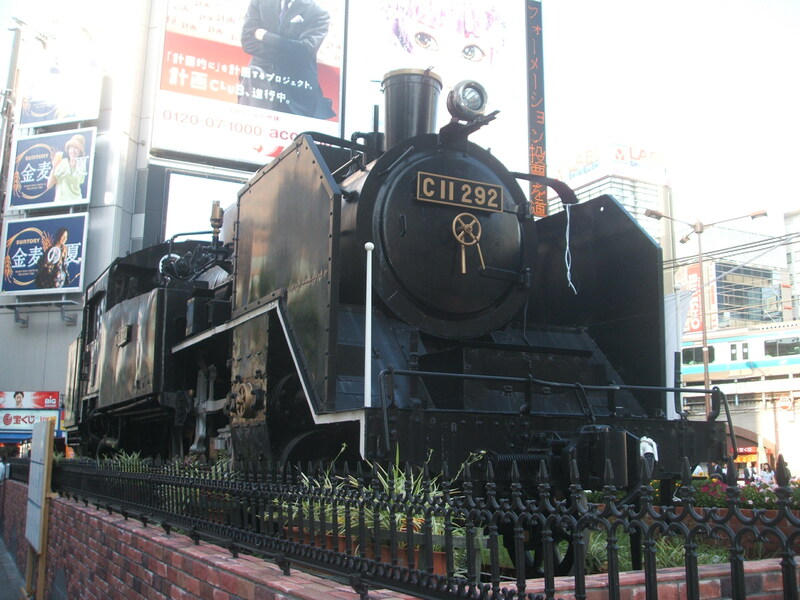 Chikabo Kumada died a few days ago, that’s why I wrote about him. Are there many types of insects in Hawaii? You’ve only been to Japan in the summer? Spring, Autumn, and Winter are all very different in Japan…and all nice in their own way. How many times have you visited Japan? What part of Japan do you visit? When cicada’s chirp, it makes sleeping extra hard! I, myself, can fall asleep easily. No matter how noisy or bright the room is.